Plitvice lakes National Park was established in 1949, and in 1979 it was among the first sites in the world that UNESCO named as the world natural heritage. 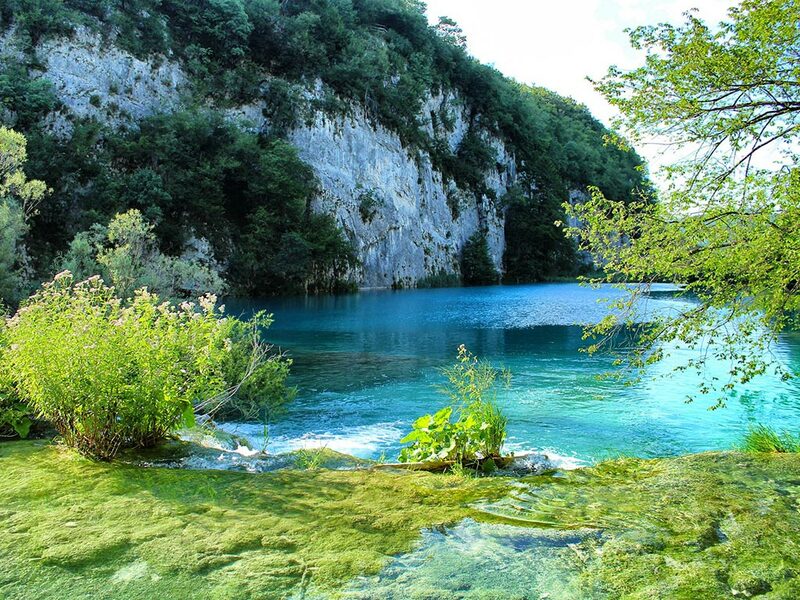 They are listed 3rd on the CNN’s list of the most beautiful lakes and waterfalls. 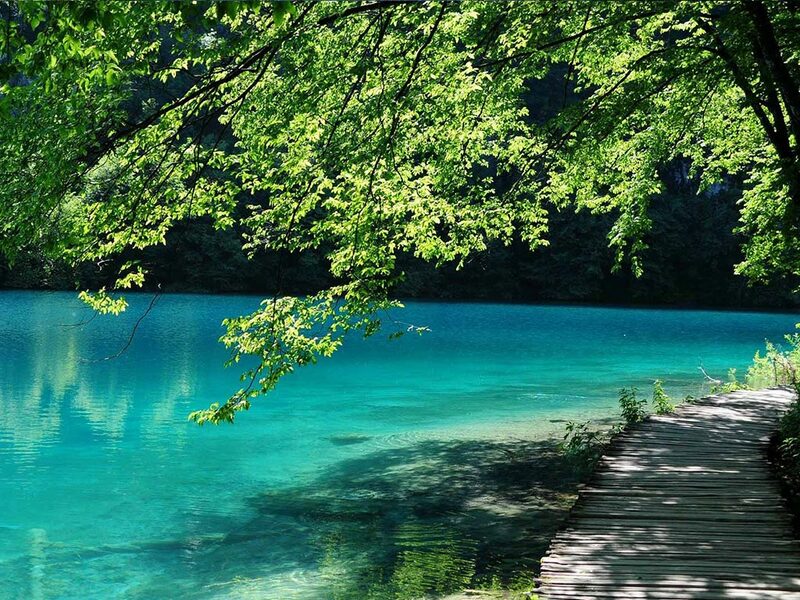 Plitvice Lakes consist of 16 large and small lakes of turquoise water that cascade from one lake to another with a lot of magnificent waterfalls of a 5460 meters air line length. 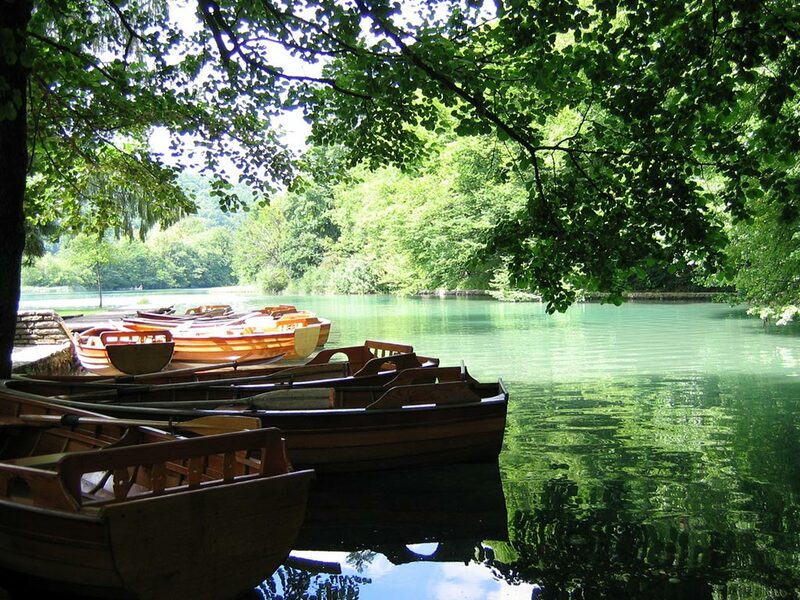 Plitvice Lakes National Park is located between two mountain ranges. In its dense high forest many animal species have found home. 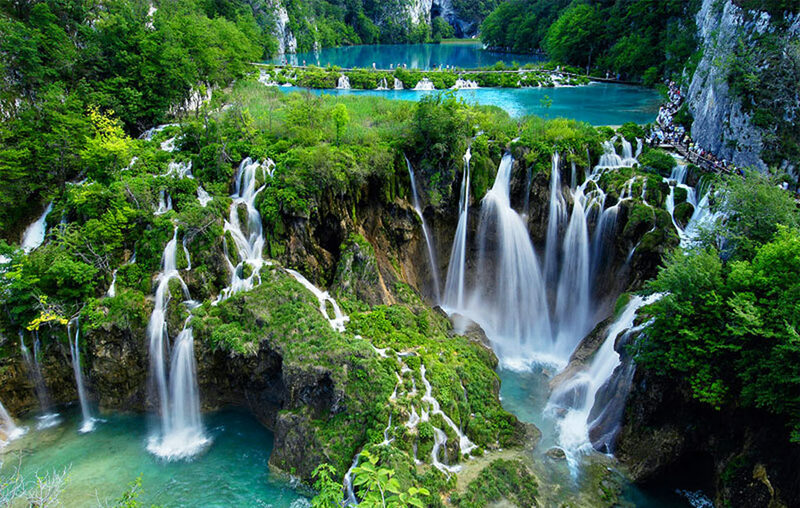 Plitvice Lakes are known for its beautiful waterfalls and lakes, rich biodiversity, limestone and dolomite caves known as the limestone cathedrals. 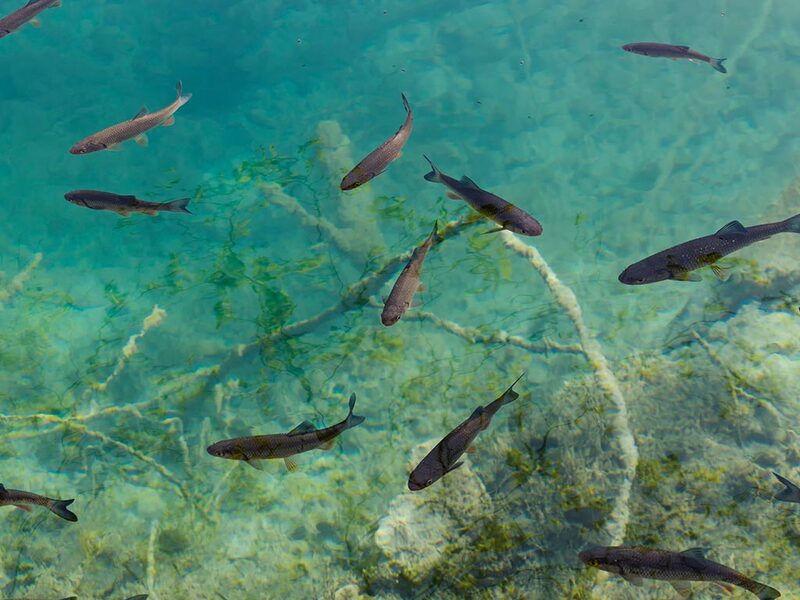 Due to the water in the lakes, which is suitable for the formation of different barriers, the look of lakes is constantly changing. 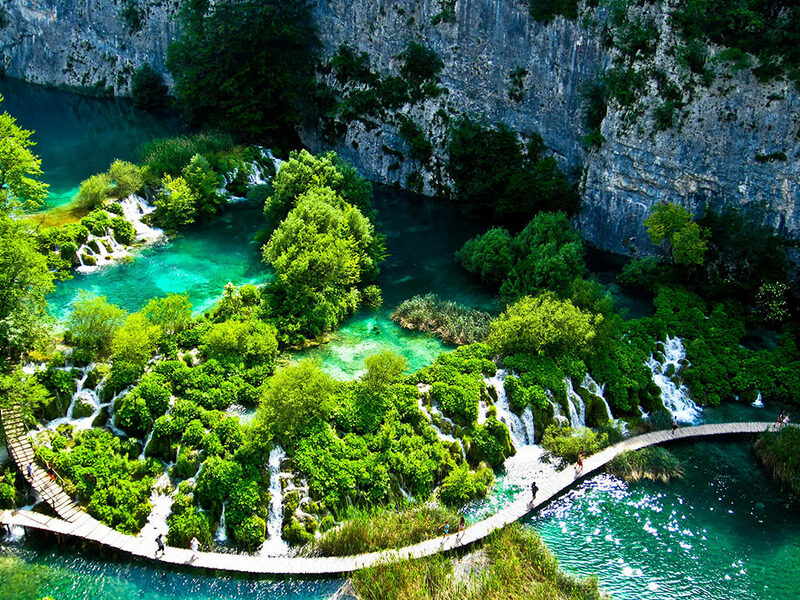 Plitvice Lakes are also known as the Land of falling lakes where stones grow. For a basic sightseeing you need one day, for a deeper visitation you need at least 2 days. You can visit the Plitvice Lakes at any time of the year because each season offers a distinct and unique view of the natural beauty. A travel by boat and train is included in the ticket price. Pleasant ride through picturesque landscape towards Plitvice lakes National Park. Lakes are multi-level system of Upper and Lower lakes. 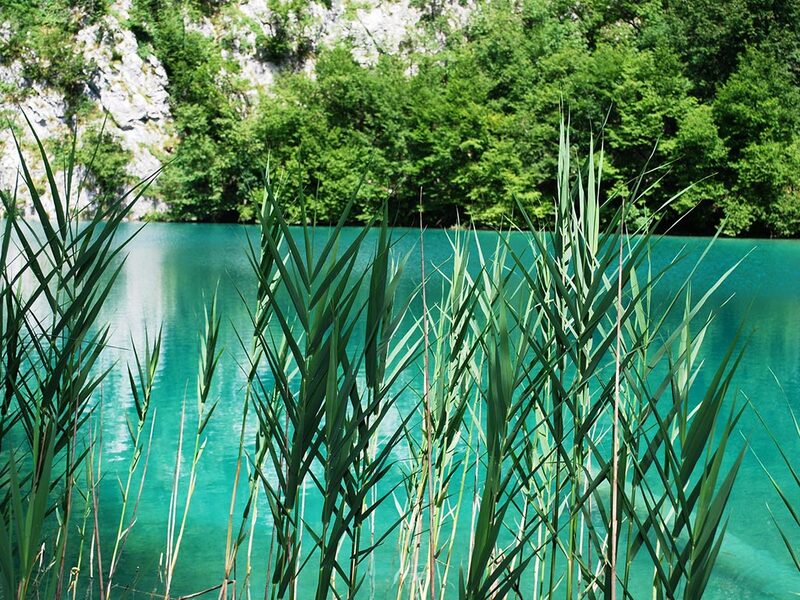 The fundamental phenomenon of the Plitvice Lakes is sedra or travertine. Running through rocks, karst water dissolves calcium carbonate that settles. Deposits of calcium carbonate build dams and that is how lakes, cascades, and waterfalls are created. 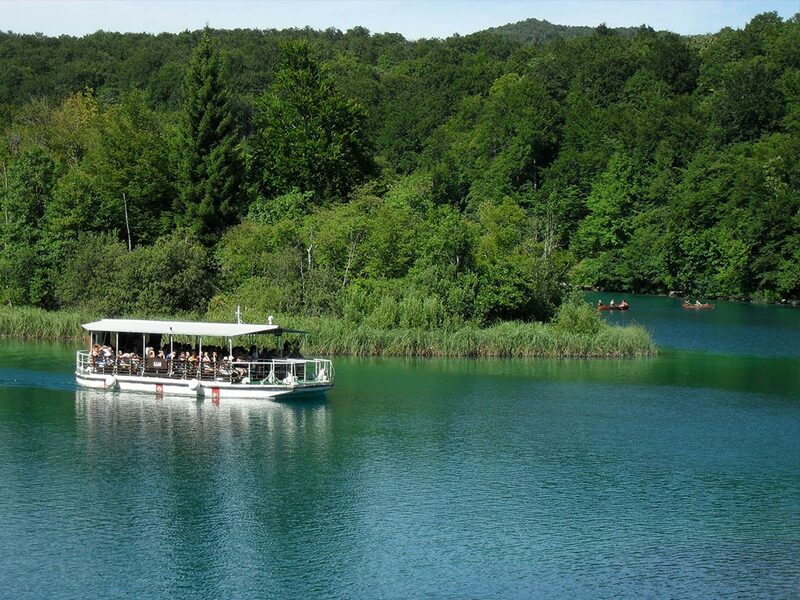 Upper Lakes – consists of 12, out of 16 lakes, separated by travertine barriers. Lake Kozjak – is the largest and deepest lake in National park. It is belongs to Upper Lake and it is the only navigable lake in the Park. 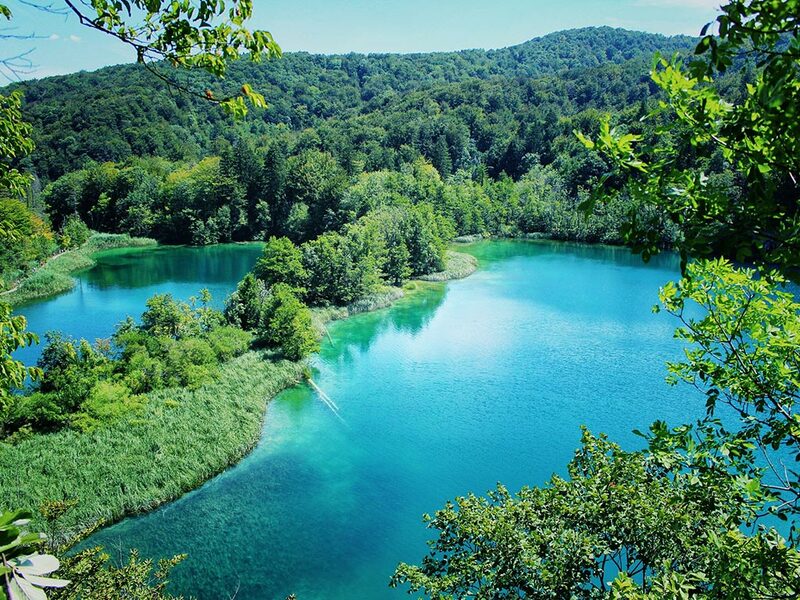 Nature played and merged two lakes into one, and that is how lake Kozjak was created. 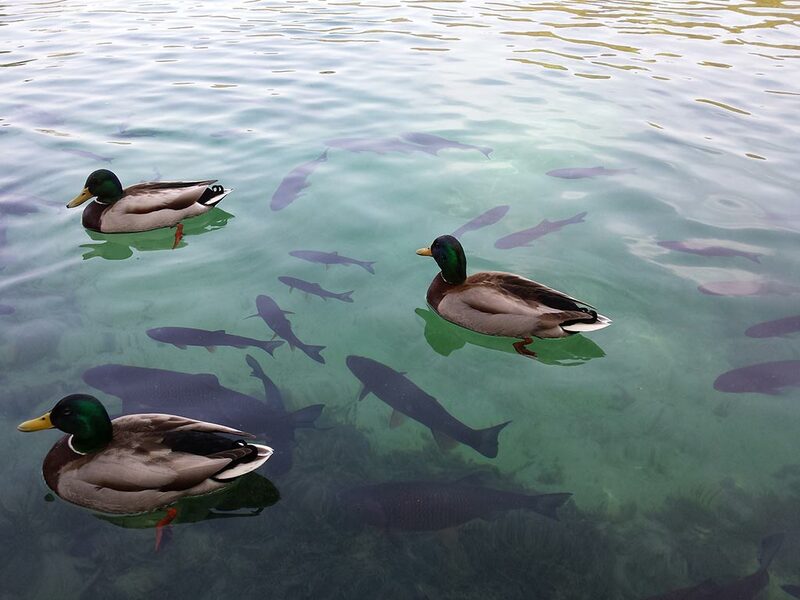 Islet in the middle lake is named after Stephanie, Austrian princes, when she visited the lake in 1888. Lower Lakes – create idyllic scenery with small waterfalls, turquoise and green surroundings and an underground cave in the nearby. Great Waterfall – is situated in the Lower Lakes. 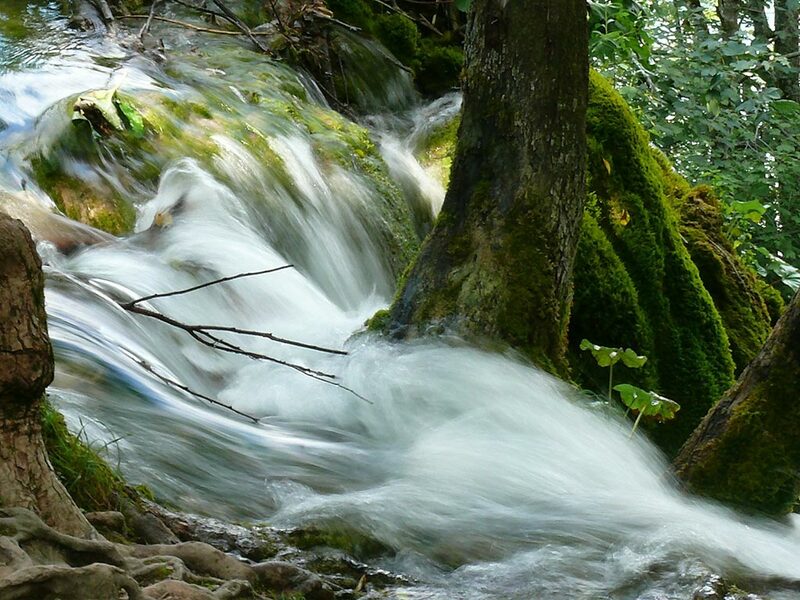 With the high of 78 meters, it is the tallest waterfall in Croatia. In the winter season, skiing is possible at the skiing-centre Mukinje. National park is opened for visitors every working day, sunday and for holidays. For more information, please visit the website www.np-plitvicka-jezera.hr.